How often would you say you back up your computer, or save info from your phone to #ICloud? When it comes to #technology we are usually pretty vigilant about not loosing data. Why is it then that we don’t take the same precautions with our vision? Vision directly affects 80% of the brains functions- think about that for minute… If we can’t #see well, it will affect us in numerous ways. Just like we back up our computers, we should have back up’s in #eyewear. It’s impossible to predict when something will happen, so it’s always best to be prepared. When it comes to #vision, your back up should be equal in optics to your main pair to ensure proper #vision for whatever length of time repairing your main set takes. Here is a great example of a back up pair of glasses. On the right she’s wearing an ultra lightweight #swissflex frame in a neutral color that allows you to see her and let the glasses showcase her features. On the right she chose her secondary pair to be a bold and fun #cocosong – it affords her not just a back up pair of glasses but an entire #style change showcasing the glasses making her look #fun and #flirty. 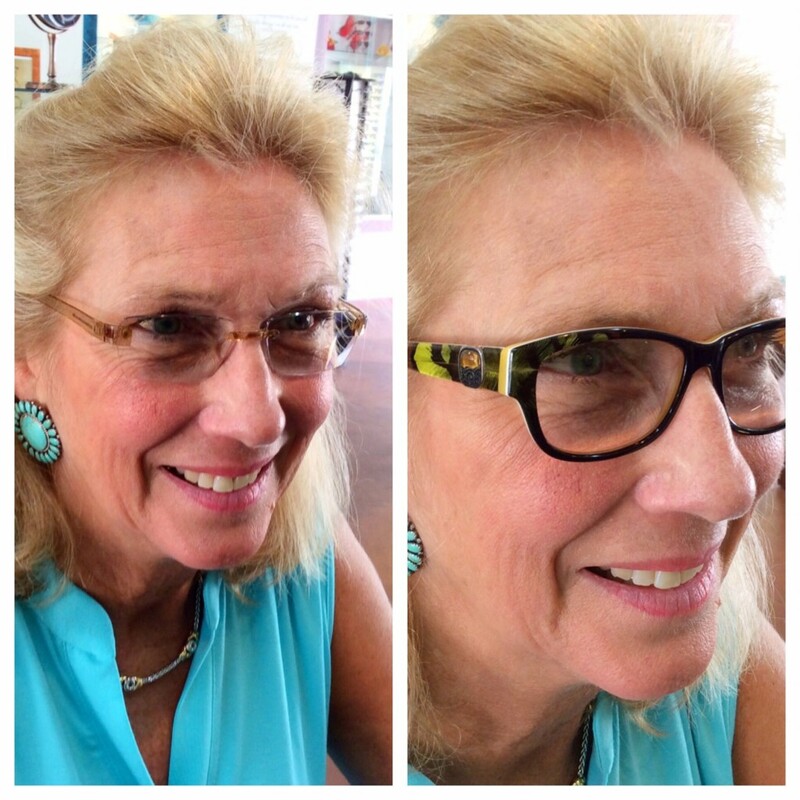 This is a great way to have a back up pair of glasses for just in case as well as an entirely different look.